Nate Piekos knows a thing or two about lettering comics. Not only is he the creator of Blambot Comic Fonts but he’s also lettered books for the likes of for Dark Horse, Marvel, etc and created a fair few comics of his own. 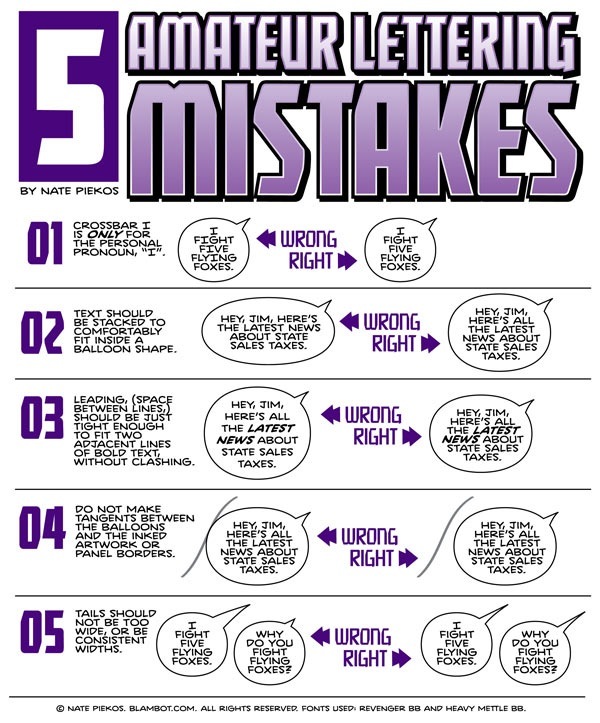 Recently Nate posted this handy guide to common mistakes made by amateur letterers. 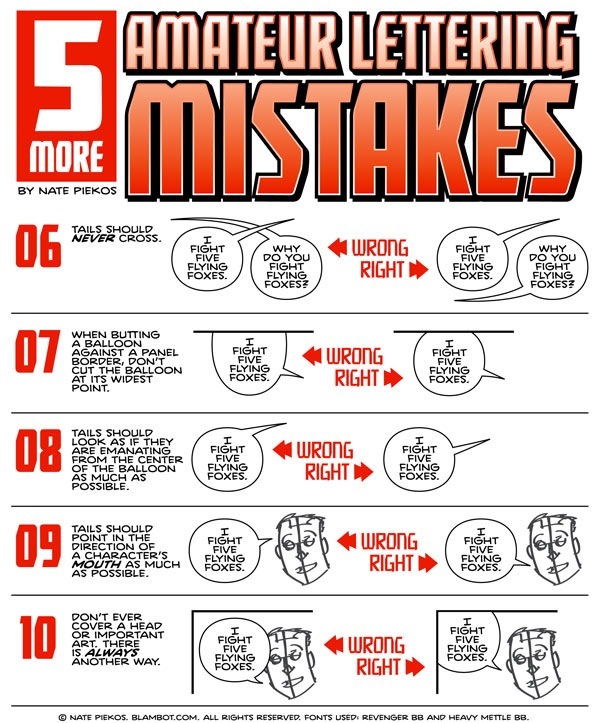 Since it’s a skill that many of us in the indy comics scene are trying to perfect, I thought I’d throw it up here. All credit for this work goes to Nate and I strongly suggest you check out the rest of his work to see these examples in action.